Welcome all to Swáywi (Ambleside Park)! The Coho Festival will start off early with the Coho Run that leaves Kitsilano at 9am and runners appear at the festival site around 9:45pm. The Coho Swim’s course is at Ambleside Beach and starts at 9am. Come cheer on the athletes! Unfortunately the Coho Walk was CANCELLED for 2018. Check back for more details closer to the 2019 Festival! Here are the Festival details for 2018.
traditional “Blessing of the Salmon” ceremony. 2:00pm – 2:50pm Al Foreman & the Soulmates – blues with a couple of shots of humour! 4:40pm – 5:55pm The Fab Fourever – Come out to enjoy one of Vancouver’s favourite Beattles tribute band performing LIVE! listening & singing along! Dancing will be fun!! The Kids Park will be as fun as ever with a climbing wall, table tennis, bouncy castles, a Sand Art Party and a Bike Safety Rodeo Course. Bring your own bike or borrow one on hand. Kids will be encouraged to participate with Vanleena dancers and/or Champion martial arts. This year, Red Fox Society Youth Leaders will to help kids learn stilt-walking, diablo, flower sticks and more! Come listen to 15-year-old Ashley Pater bring her folk-pop style music that tells a story with fun energy! Don Kline will be putting on a Ukulele workshop. (Bring your own ukulele!) Street entertainer Mike Battie performance is sure to keep you laughing and maybe see some fire! Make sure you stop by the Mehndi & More Henna Artist station – great for Instagram! 1:00 pm Mascot Dance Party – come join in! Purchase tickets in the Dining Garden. All proceeds are used to support wild salmon habitats on the North Shore. Make sure you leave room for North Vancouver’s best natural ice cream from Welcome Parlour. 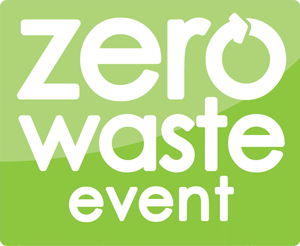 The Coho Festival is a zero waste event. All products on site will be organic or recyclable, no products used at the festival will be headed to a landfill. Drinking water will be available on-site but please bring your own bottle! Be environmentally responsible & come by bike, walk or take public transit. Very limited parking on the site. Plan ahead – come by bike, walk or take public transit. Avoid parking woes and ride your bike to the event! Be inspired by our ongoing efforts to restore fish passage after the 2014 rockslide that blocked the Seymour River. We guarantee it will be a blast! Presented by Shaun Hollingsworth, President, Seymour Salmonid Society, and co-presenter Reece Fowler, Environmental, Coordinator, Seymour Salmonid Society. There is an urgent need to protect British Columbia’s vulnerable whale populations. Vessel-associated impacts, such as ship strike, disturbance, and vessel noise can have negative effects on cetaceans (whales, dolphins, and porpoises). In partnership with the Ports of Vancouver and Prince Rupert, the BC Cetacean Sightings Network has developed the Whale Report Alert System, a smartphone app which broadcasts pertinent details of whale presence to large commercial vessels. These alerts will inform shipmasters of cetacean occurrence in their vicinity, which will better enable vessels to undertake adaptive mitigation measures, such as slowing down or altering course in the presence of cetaceans, to reduce disturbance of the animals and decrease the chance of collision. Learn about this exciting new project and how you can get involved by reporting your whale sightings. Presented by Jessica Torode, Coordinator of the BC Cetacean Sightings Network. In 2013, the Pacific Salmon Foundation launched a landmark effort to help restore Chinook, Coho and Steelhead populations in the Strait of Georgia and Salish Sea. 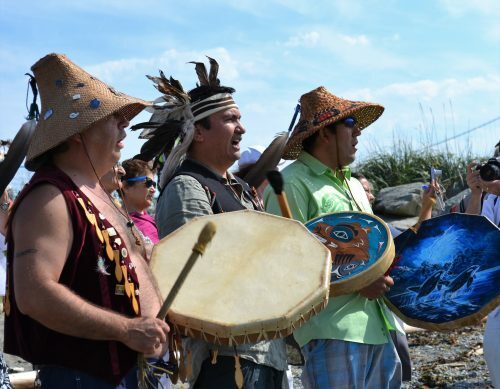 The Salish Sea Marine Survival Project (SSMSP) is a $20+ million transboundary effort carried out over five years in partnership with Seattle-based non-profit Long Live the Kings. Learn about some of the highlights of this research, including the role of seals in the decline of Coho and Chinook, state of the art research into salmon disease, the importance of estuaries to juvenile salmon, and novel tagging methods that have shed light on salmon migration and mortality. Presented by Dr. Isobel Pearsall, project co-ordinator for the Salish Sea Marine Survival Project. Plastic in our oceans is increasing at an exponential rate. So much so, it is estimated that at our continued rate of consumption, plastic in the oceans will outweigh fish by the year 2050. Plastic does not biodegrade; it simply breaks apart into smaller and smaller pieces—called microplastics. Microplastics are mistakenly eaten by many different animals, which may have impacts to the future health of marine food webs. This talk will focus on the current research on this marine pollutant and the potential effects it has to marine life including salmon. Presented by Rhiannon Moore, Researcher, Ocean Pollution Research Program. 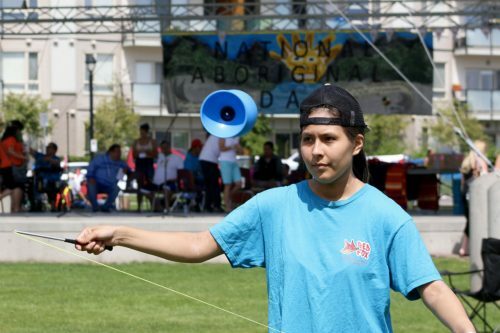 The Squamish Nation Canoe Family will give their traditional “Blessing of the Salmon” at the Opening Ceremonies, and at the Village, Nation Ambassadors will share stories, kids can make a paddle necklace or fish hat! Nature Walks will be lead by Rebecca Duncan – tsitsayxemaat and will leave the Village at 11:30 a.m. 1:30 p.m. and 2:30 p.m. Also at the Squamish Nation Village buy a raffle ticket for a stunning Salmon carving and Sterling Silver Salmon bracelet designed and donated by Richard E. Baker of the Squamish Nation! The Squamish Ocean Canoe Family will be part of the Blessing of the Salmon and will be paddling in if weather permits.